Ravi Shankar Prasad hit back on Manmohan Singh for terming demonetisation as 'organised loot' and 'legalised plunder'. 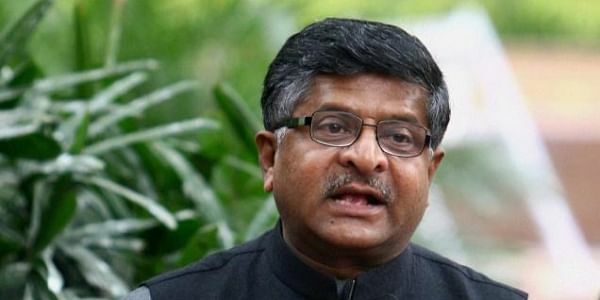 BHOPAL: Hitting back at Manmohan Singh for terming demonetisation as "organised loot" and "legalised plunder", Union minister Ravi Shankar Prasad today said the former prime minister "seemed to be reading scripts written by someone else, just like Congress vice president Rahul Gandhi". Singh and Gandhi must be speaking about the 10 years of the previous UPA government, when rampant corruption had plagued the country, he said. Manmohan Singh who was in Ahmedabad earlier today described the BJP-led government's demonetisation exercise as a reckless step and said scrapping higher value currency notes was organised loot and legalised plunder. "This is not Manmohan Singhji's language," the Minister for Law and Justice told reporters reacting to Singh's criticism of noteban. "Manmohan Singhji has said that note ban was a dacoity. This is not Manmohan Singhji's language," he added. "He was Prime Minister for 10 years and was a man of few words. This is not his language. So it appears that like Rahul Gandhi, somebody is writing the script for Manmohan Singhji nowadays," the Minister said. "The way Manmohan Singhji and Rahul Gandhi are speaking, they are remembering the 10 years of the previous UPA government," Prasad said.